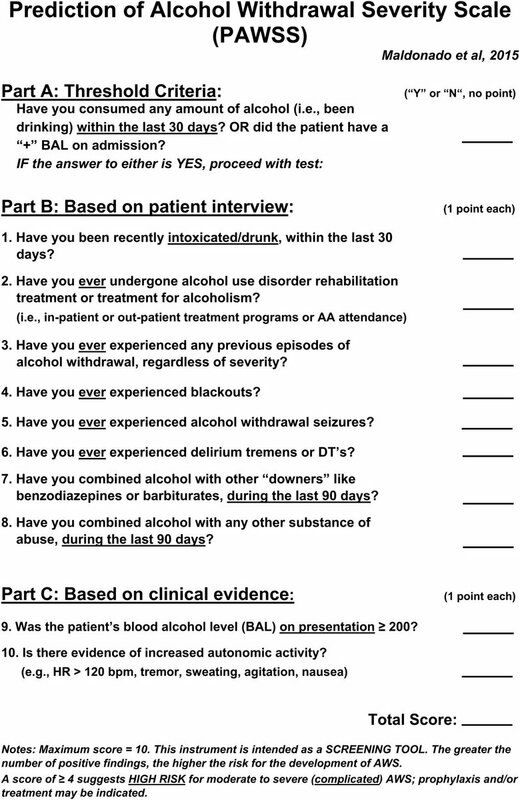 Inpt Day 4: Will my patient have severe alcohol withdrawal while hospitalized? Consider using the PAWSS screening tool to identify if high-risk. If screen negative, likely do not need CIWAs. Specificity 99.5%, Sensitivity 93.5% (approaches 100% when combined w EMR review).